Erika D. Wiskes is the Firm Administrator and Funding Coordinator for the firm. She is originally from Pleasanton, California, and is a graduate of San Jose State University in Northern California, where she received a Bachelor of Arts degree in Public Relations, with a minor in Communications, graduating on the Dean’s List (2010). Erika joined the firm in 2012, and in her current role assists the attorneys of the firm in their practice areas of estate planning, business planning and estate administration. She is highly involved with the client experience throughout the process in these practice areas, gathering asset information, reviewing and presenting trust funding documents, corresponding directly with clients and their financial institutions, and participating in client meetings. She is the team leader of the firm’s funding practice, overseeing the coordination of clients’ assets with their living trusts. 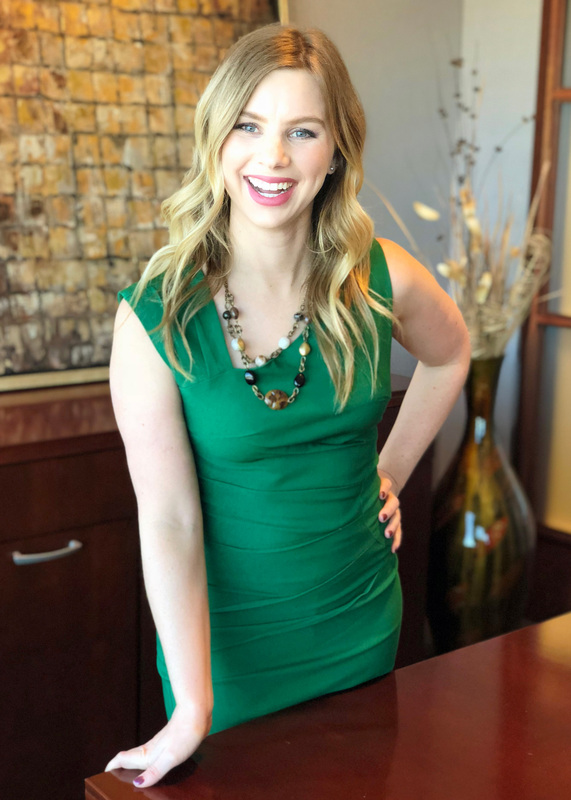 Erika also participates in the business development area of the firm, attending networking events, assisting the attorneys at presentations and seminars, planning firm sponsored events, and representing the firm through the greater Madison area. She is very involved with the Middleton Chamber of Commerce, and has served on the Annual Event Planning Committee since 2013. In her free time, Erika enjoys traveling, spending time outdoors and having quality time with her family and friends. She likes to be involved in the community and can often be found volunteering with different organizations, especially ones focusing on animals as she has a big soft spot for all animals. Her love for animals started at an earlier age and was fostered through her riding career as she grew up competing in the Hunter Jumper Circuit with her two horses. Now her focus during her free time is on her young family and household pets.